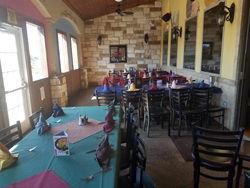 If you love Tex-Mex, and have tried lots of restaurants in the San Antonio, TX area, then you know it’s hard to find a restaurant that serves delicious food at great prices in a great atmosphere. At Grand Tequila Restaurant & Cantina, you don’t have to sacrifice any of these things! 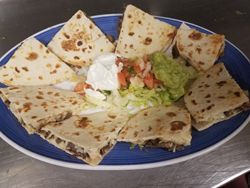 We offer an extensive menu full of all your authentic Mexican favorites; we bring together family tradition and style to give you authentic dishes that you’ll love. 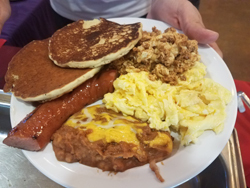 Whether you’re hungry for breakfast or you want to enjoy a margarita or the big game, we welcome you to stop by soon. Make sure you add on a few of our sides, like our famous pico de gallo and Spanish rice. Then end your meal with some vanilla flan or Mexican ice cream – if you can possibly eat anything else after your filling meal! From lovers of Mexican food to picky eaters, we cater to all kinds of visitors. We even have a nice kid’s menu. If the weather is nice, be sure to request a seat out on our outdoor patio. Do you have an upcoming party or business meeting? Grand Tequila hosts private gatherings of various sizes. Be sure to book your upcoming event by calling us or stopping by to speak with one of our staff members. Your guests will thank you! Stop By or Order Online Today! Try all that Grand Tequila Restaurant & Cantina has to offer by visiting us for a meal or ordering online today. We can’t wait to show you why we’ve become the best Mexican restaurant in the San Antonio, TX area!